Step 1: You should know its requirements. Note: If the expiry date falls on a weekend, holiday or non-working day, the license shall be renewed on or before the last working day prior to the expiry date of such licenses as provided for in the third paragraph of Section 24 of Republic Act No. 4136, otherwise the same shall become delinquent and invalid, except when the license is surrendered to the Director of his deputies on or before the last working day prior to the expiry date of such license as specified, in order to avoid payment of the delinquency fees. If the applicant wishes to change any information in his/her data and additional restriction, said applicant shall be advised to go to the nearest LTO Licensing Center. If the license of the applicant is on alarm, the evaluator will inform the applicant to settle his/her apprehension before his/her license can be renewed. The Cashier will receive payment and release the new driver’s license card to the applicant. Applicants who submit fake medical certificates shall not be allowed to renew their license, and any license issued on the basis of a fake certificate shall be put on alarm and immediately recalled. The applicant shall also be disqualified from securing a driver’s/conductor’s license in the future in accordance with existing rules. Never apply with fixers. It’s easy to renew your driver’s license, you can do it on your own. Be punctual, be patient, there are several steps in order for you to obtain a driver’s license. Your driver’s license renewal must be on or before the expiry day (your birthday of the expiry year) to avoid penalties and charges. can i still renew it? I am renewing my Non-Prof License and also want to add an additional restriction code from only 2 to 1 and 2 . Do I have to take the written and practical examination again?. Yes, it is necessary to take the exam if you need to add a restriction code. What would be the penalties for a more than 2years expired driver’s license? Pwedeng i-renew, may penalty lang. Pwede. I-renew lang dapat license. Hi kakakuha ko lang ng non-pro pwede ko bang ipa-pro agad? mga ilang years ba bago ma convert ang non pro. to pro.? You don’t need to take the exam if you’ll renew your license. helo po ilan bng beses magpapicture sa lto, kc po kukunin p lng namin ung id sa december, temporary licensce tapos magpapaulit na naman dw ng picture kc bgo dw na naman po. Once lang ang picture taking for ID. senior citezen n po ako tanong ko lang po kung pwede pang i renew ung licencse prop na nawala taong 1986 pa? It depends kung may record pa sila kung saan mo kinuha. But probably, you should get a new one. My non_pro drivers license was expired in last 2 months, i want to renew it withprofessional drivers license, what would be the requirements, thanks. Wala na, magbabayad ka lang ng penalty. I’m renewing my 3yrs expired non pro drivers license. Apart from penalties and fees. Do I still need to undergo actual driving test? No need, just pay for the penalty. Hi. I applied for a Non Prof on May 15, 2015 and may birthday is June 16.. the expiration date of my license is June 16, 2017.. its only 2 years?? Was there a mistake in my expiration date? Probably, it should be June 16, 2018. No need for practical exam if magre-renew lang ng license. tanong ko lang ilan restrictions code 123, ang kailangan average na maipasa sa examination. Hindi sa restriction code but sa classification ang basis sa pagpasa. Passing: Non-pro: 30 out of 40, Pro: 45 out of 60. Non pro license ko mag eexpire na dec 2018 , pwd ko po ba erenew ngayon january for pro license.? Magkano aabotin sa fee lahat lahat!!? Pwede, ask niyo na lang local LTO office niyo kung magkano. Oo, kailangan pa ng exam practical and written, plus additional requirements, NBI or police clearance. 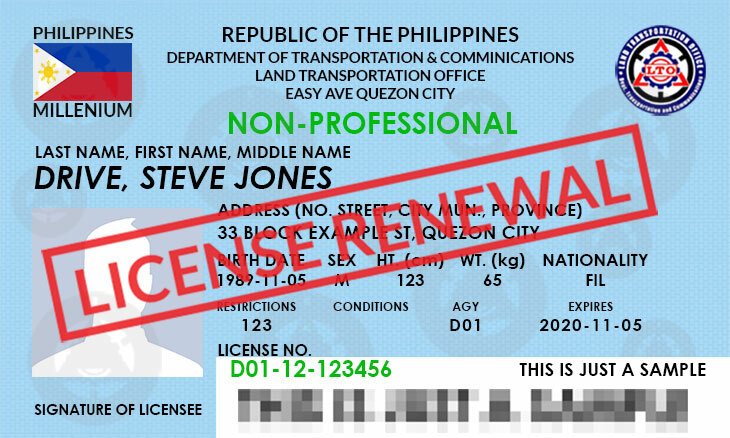 If the professional driver’s license was expired last april 2014 it could be renewed again? What are the charges? Yes, it can still be renewed but with penalty/charges. My license expired May 2018. Can I apply renewal now (Jan 19, 2018)? Expired May 2017? Yes, you can apply on Jan. 19, 2018, but with penalty/charges. Ask ko lang po pag almost 10 years na expired need na magexam ulit? Thank you po. Can i renew my driver’s license in any branch or only in the branch where i got my driver’s license? Yes, you can renew your driver’s license in any branch. Expired na po ng 2years ang lisensya ko,… by feb 25, 2018 pa lang po ako makakauwi ng pilipinas para mka pag renew ng lisensya. Res. 2 and 3 po ung code ko pero balak kpo mag dagdag ng res. 8 ano po ang requirements para magkaroon ako ng res.8? magrerenew po ako ng license 1 2 po restriction ko, gusto ko po magdagadag ng 1 2 3 na restriction, may actual examination po ba ulit ako at examination? No freebies. Yes, you can change from non-pro to pro, provided that your non-professional license is 5-months old. You can add restriction 2 if you know how to drive a 4-wheel vehicle. Do I have to take exam written and practical to renew my non pro expired license dormant 5 years? No need to take the exam, just pay for penalties/fees. Probably, you may only need to pay for penalty if it is only 2 years expired. For more than 2 years, a re-take of exam is necessary. So, maaring kumuha ka ulit ng exam. Hi Good day! My drivers license was expired since 2012. I would like to renew my non-prof drivers license. How much will I pay in total? There will be an additional P225.00 penalty aside from the fees stated above. Read the article above. my License is 10 years expired. do i have to apply for new one? and also take written exams and practical exam? Yes, and there’s a penalty fee. good pm po since ask ko lang naexpired po licensed ko nung january 2016. two years na po sya expired need ko pa po ba mag reexam. According to the official LTO site, mag-eexam ulit if more than 2 years expired. Pwede naman, but if you’re going to present as valid ID, hindi tinatangap ang temporary license. You may get a license card, nagre-release na sila ng card. need pa po ba ng number ng pila kahit po re take ng exam? Yes, you may ask kung saang LTO office ka nagapply. 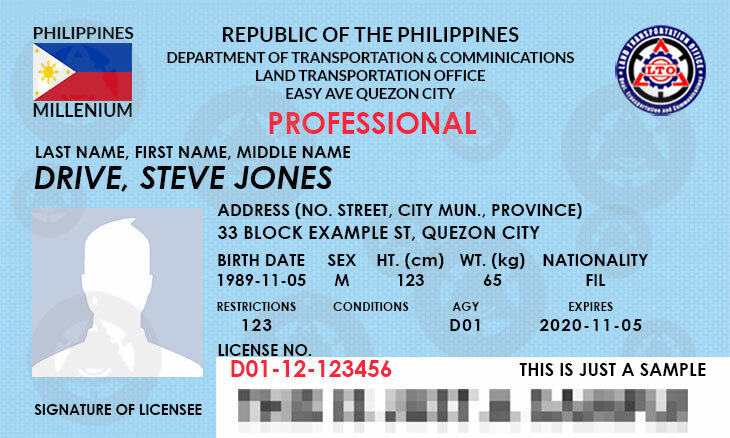 is it ok to renew your driver license in any LTO office in the Philippines? How long does it take to renew? Yes, it depends sa pila. What is the earliest month can I apply for a renewal of my driver’s license if it expires this July 2018? Yes, it is required if kukuha ka ng pro. Yes, kapa maga-add ng restriction, may exam written and practical. there are so many fixers here in buug zamboanga sibugay can you handle this and maybe punish? 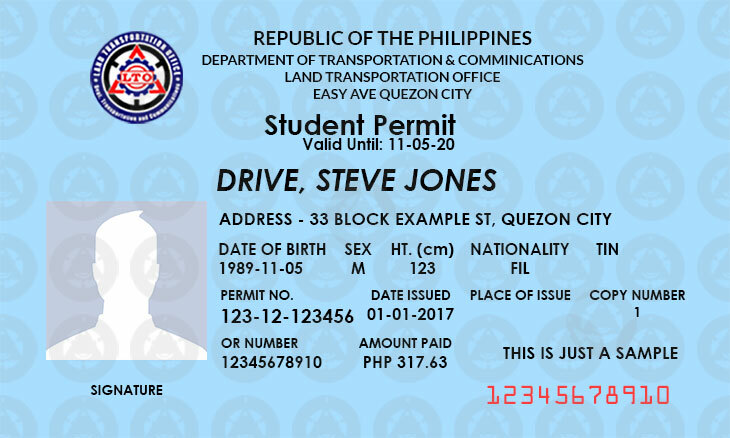 You can renew it on any LTO office, and there will be a written and practical exam. can i still renew my license which is expired for 2years and 2months? Yes, but probably you may take again the exam. hello po.mag eexpire na po lisensya ko dis april 25,2018..pwede po ba akong mag renew ng liscence in any LTO office?sa province po ako kumuha pwede ko ba syang i renew dto sa city.. Yes, at any LTO district office pwede. 2008 papo nag-expire license ko.nawala po siya kaya nagpa affidavit of lost na po ako. mag-exam pa po ba ako ulit or renew lang po? thank you. Yes, most likely kukuha ka ng exam ulit. You can renew at any LTO district office. hello,tanong lang po,kung pwedi pabang marenew expired nang 16years drivers license ko,kung pwedi naman po,may exam pa po ba? Mag-eexam ulit, then actual driving ng 4-wheels. How much po ang non-pro ngaun kpg tricycle lng ang iddrive? Ang professiol license po b kelngn tlga ng tin # At mgkano rn po? Yes, kailangan ng TIN sa professional driver’s license. The same fees lamang if tricycle, male-less lamang sa fees because walang 2 restriction which is for car. Good day po. 11months napo expired non pro drivers lic ko pag nirenew kopo ngayon do i need to take written exam again? No need, magbabayad ka lamang ng additional penalty fee. Renew lamang, magbabayad lamang ng additional fee for penalty sa expiration.